20-Seater Tempo Travellers (20+1) is perfect vehicle for outstation rentals for holiday, Events, Occasion and group outing for any purpose. We Provide 20-Seater CNG tempo Traveller for Employee movements in Delhi and NCR region and also on other cities like Banglore, Mumbai, Pune, Hyderabad, Mysuru and Diesel engine tempo traveller for outstation rental in plain area and hilly area. The 20 Seater tempo traveler is manufactured by Force Motor with highest standard of safety, comfort and power. The Engine is well playing in Both Hill area and Plain Surface. The Highest quality of Suspension and built gives you more comfort of luxury. The Space is well utilized and provide ample leg space along with luggage compartment with the vehicle and carrier on top for additional luggage. Cablo Provides 20-seater tempo traveler rentals in more than 50+ cities from where you can book your 20-seater tempo travelers to visit and explore almost 600+ cities all over India. The 20-seater tempo traveler is perfect for group tour in Hilly area and also in normal plain area. 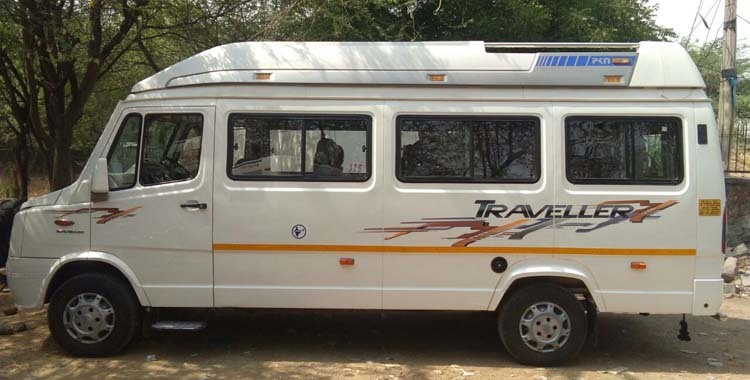 You can hire 20 Seater Tempo Travellers from cablo for outstation rentals, Daily employee movements within City limit, Shuttle services for your multi city , multi pick up and drop services for employee, Meeting Incentive and Conference for your employee within the given location, Holiday trip with family and group members.